Click here to order Notary Public, Justice of the Peace or Commissioner of Deeds stamps. The perfect tool when the job calls for making the same impression over and over. Stamps can be made in almost any size, to print any message and are available in a wide variety of shapes and styles. Want to send artwork of your signature, logo or work? Click here! 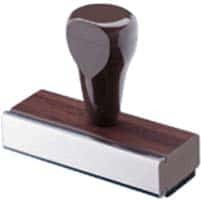 The traditional hand stamp requires a separate stamp pad. Efficient, simple (no moving parts), and easy to use, hand stamps pay for themselves many times over. Hand stamps can be made in almost any practical size and to print almost any message. 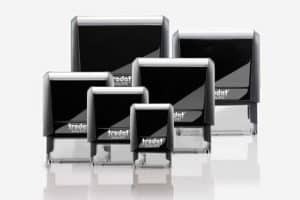 Available in a variety of shapes and sizes – Click Here for rectangle sizes or Click Here for round and square sizes. 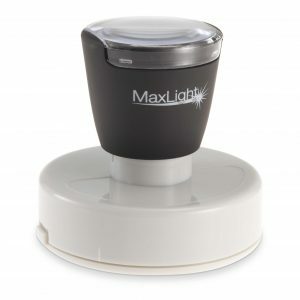 Pre-inked stamps feature the stamp pad, printing die and ink in a clean all-in-one design. Crisp impressions every time and are easy to re-ink. 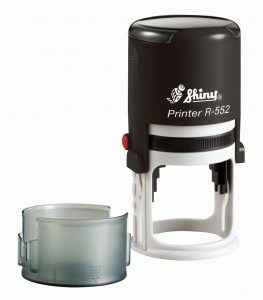 New Flash Exposure technology yields the next generation of pre-inked stamps. No separate stamp pad needed … the ink is in the stamp. Fully re-inkable. Choose from several sizes, styles and eleven colors. 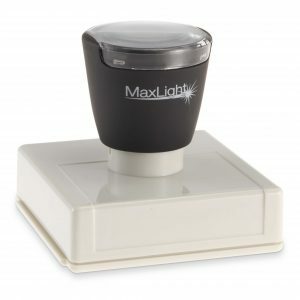 Thanks to Flash Exposure technology, we are able to offer you two choices for pre-inked stamps. Manufactured using the LEM (low emission manufacturing) process to minimize environmental impact. Inspection stamps are made with laser engraved printing dies. This allows for clean impressions with very small characters and they stay clean longer, even with air-drying inks. Available materials for quality inspection stamps include gum rubber, Buna-N rubber, and neoprene. We can provide the best material for your application to work with many special marking inks. Inspection stamps can be made in almost any design, and sequentially numbered for easy inspector identification. Different mount styles are available as shown below. We can provide a wide array of stamps and seals for use in professional disciplines. Professional engineers, architects, land surveyors, home inspectors and others. All stamps and seals are produced to conform to individual state requirements… GUARANTEED. Variations on the types of tools that can be used differ from state to state. 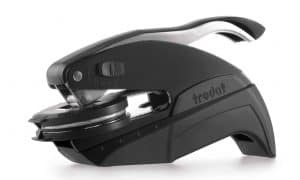 Listed below are the types of tools we offer – an electronic seal file in .jpg format is also available. Please check the individual state’s requirements prior to ordering. Premium quality flash pre-inked stamps can make thousands of impressions (on paper) without re-inking. Just Press and Print! No separate stamp pad needed… the ink is in the stamp. Fully re-inkable. Available in Black, Red or Blue ink. Your embossed seal guarantees permanent tamper proof protection of both your seal and the copy over which it is placed. 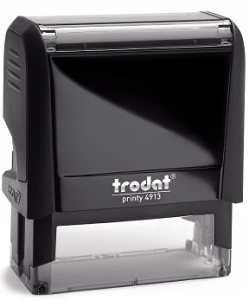 The Ideal Trodat® seal crisply embosses your information on the document. It’s simple, portable and easy to use. NOTE: CERTAIN DESIGNS DO NOT LEND THEMSELVES FOR USE AS AN EMBOSSING SEAL. METAL EMBOSSING SEALS ARE FOR USE WITH PAPER ONLY! 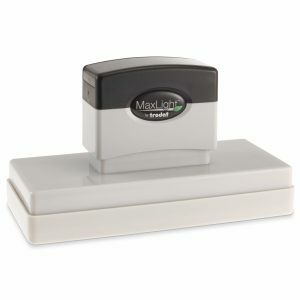 A self-inking stamp does not require a separate stamp pad. The stamp pad is in the stamp. Self-inking stamps are good for thousands of impressions. The pad can be re-inked or replaced very easily. Available in Black, Red, or Blue ink. The conventional hand stamp requires a separate stamp pad. 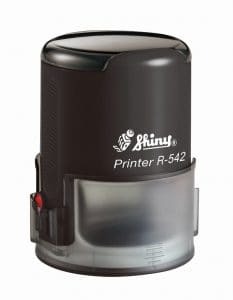 Printing dies compatible with special fast drying inks for use on plastics, Mylar etc. can be provided. Please specify. The beauty of this unit is “The ink is inside“. No need for a separate stamp pad. Printing surface is recessed to keep desktop clean, neat and in order! This unit provides up to 50,000 impressions before re-inking is required. With a “Built-in” reservoir it lets you re-ink for many thousands of additional impressions. Line Daters and numberers available. Rotary time and date stamps. Large variety of custom sizes and styles. Eleven color choices: Black, Red, Blue, Green, Purple, Orange, Lt. Blue, Lt. Green,Yellow, Pink, Brown.